The New York Times recently reported that over 75% of Americans have some form of gum disease. I’m one of those Americans. Even though I have my teeth cleaned by a dentist three times each year, I still come away with bleeding gums and deep pockets between my gums and teeth. I always brush and floss, but something, genetics, the anti-seizure medicine I take, may cause the constant, though painless, inflammation. A new study makes me wonder if it will effect my longevity and health. The study linked inflammation with aging. The area of the brain called the hypothalamus, among other things, responds to inflammation by suppressing the release of Gonadotropin Releasing Hormone (GnRH). This hormone is associated with reproductive hormones and lower production of GnRH is also associated with aging. The researchers genetically engineered mice to have either a constant inflammation stimulus or no inflammation stimulus at all. The mice with no inflammation signals hitting the hypothamus lived 23% longer than mice with no genetic modification. The mice programmed to have constant inflammation signals, which in turn lowered GnRH, had greater loss of muscle mass, bone mass, and cognitive function. Before this study, there was an association between gum disease and diabetes, cardiovascular disease and stroke, but it’s hard to say if one of the conditions causes the other, or if there is something different underlying them all. 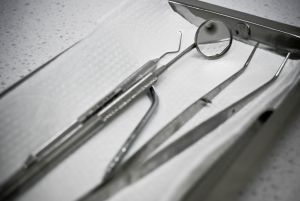 In any case, even under the new Affordable Care Act, dental coverage is not required. With many forms of gum disease being painless, the temptation to not purchase dental plans, or just not go to a dentist is high. If it turns out gum problems are associated with health problems and aging, where are we headed? Even with my current dental plan, it only pays $2,000 each year, and I’ve maxed out with a long procrastinated surgery. Now I’m paying roughly $200 for each of my three cleanings. It’s affordable for me now that I have employer provided insurance, I’m not complaining, but a few years ago, pre-health care law, I was buying individual insurance, and dental was very expensive to add, so I just didn’t go to a dentist. I hope the years I spent with receding gums and impacted wisdom teeth didn’t cause too much damage.